Wolverhampton, one of the most welcoming and friendly places in Britain is a new city for the new millennium, and always has something to see and do. There is a compact shopping area, much of which is under cover, a lively outdoor and indoor market with cafes, bars and restaurants to suit all tastes and budgets and plenty of green space such as West Park with its Victorian Conservatory. If you are getting married soon and you want something extra special. 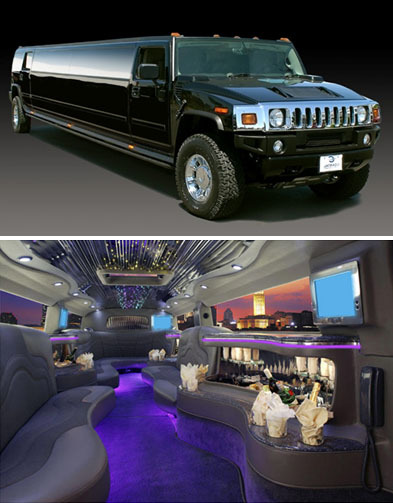 Why not book a Black Hummer Limousineand let your Guests see that you are traveling in pure Luxury and style. Traveling with Wolverhampton Limo Hire is the best way to travel on your wedding day. Is the theme pink on your wedding day? Then why not book the new Pink Hummer Limousine for the Wolverhampton area. All Brides in Wolverhampton get a bottle of Bubbly on Ice. Enjoy the day and let Wolverhampton Pink Hummer Limo take control of your day. Wolverhampton Speedway - British speedway is raced at the famous circuit in Wolverhampton, with teams from all across the globe entering the British speedway event, you will be in for event full of action. Speedway bikes are 500cc with no brake and hardly no suspension, the rider really has to be 100% focused to take part in this exciting sport. So why not visit the Speedway in Wolverhampton and enjoy the atmosphere. Adult prices are £15, and children prices are £4, concession and are offered for students and OAP. Babylon, Wolverhampton, 4-8 North Street, Wolverhampton, WV1 1RD - Hosting various nights from ladies nights out, to urban music nights, you really do have a wide range of music genres under one roof. The party begins, soon as you enter. With a wide range of drinks available from the bar you really can make your own drinking cocktail. Party the night way in Wolverhampton at the Babylon in Wolverhampton. The atmosphere in the nightclub is friendly and the bar staff are very happy, security are polite but tight. A good night can be had by all in safe environment. Wolverhampton Birthday Limo Hire - We understand how important planning a birthday can be. This is why we offer a unique service to kick start your birthday. You can now hire a limousine for your birthday. Don't forget to ask about the VIP cruise, where you will be treated like a true celebrity. The birthday boy or girl will get drinks of there choice, balloons and banners can also be provided, if requested. The party bus limousine is a great limousine for all birthday, so sit back and relax and enjoy the party bus limousine in the Wolverhampton area. Wolverhampton Pink Hummer Limo Hire - Pinky Limousine is now take 16 people. Wolverhampton Stag Night Limo Hire - Stag Night coming up? Why not hire a limo. Wolverhampton Royal Ascot Limo Hire - Travel to Royal Ascot Limo Hire in pure style with the rolls royce phantom. Wolverhampton Nightclub Limo Hire - Party the night away in a hummer limo. Wolverhampton Funeral Limo Hire - Let Wolverhampton Limo Hire take care of your limo. Wolverhampton Black Limo Hire - The all new black limo in Wolverhampton is ready to travel to your wedding in the bentley flying spur. Wolverhampton Airport Transfer Limo Hire - Travel to Gatwick airport in a hummer or a rolls royce phantom. Wolverhampton Wedding Limo Hire - Make your wedding a one to remember in the bentley flying spur. Wolverhampton School Prom Limo Hire - Make your last day at school a one to remember. Wolverhampton Party Bus Limo Hire - The party bus limo is great fun to hire. Wolverhampton Hen Night Limo Hire - Make this Hen Night a one to remember. Wolverhampton Cheap Limo Hire - Wolves Limo is offering a great limo at cheap prices. Wolverhampton Birthday Limo Hire - Happy Birthday to You from Wolves Limo Hire. 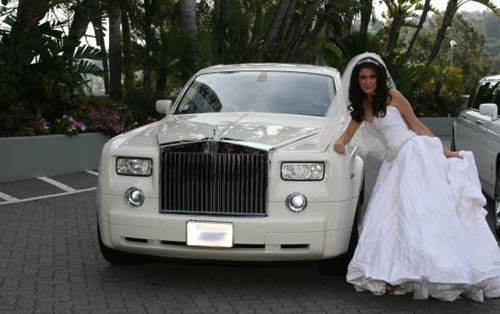 We have the best Limos in Wolverhampton from Limo Bus, Rolls Royce Phantom to Hummer.